Check these videos of Dr. Arlene Drake telling it like it is and letting people know there is an End to Endless Therapy. 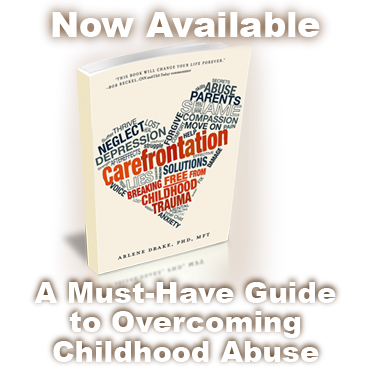 Sexaual abuse, trauma abuse, PTSD, is Dr. Drake’s specialty. Located in Encino, California, Dr. Drake accepts patients into her practice. Helping people heal abuse is her goal. Hear an abuse therapy Alumni talk about his experience in his own words. A powerful story of catharsis and transformation. A look into a joyful graduation ceremony—I believe that just because you suffered trauma or abuse does NOT mean a life sentence of therapy. There is a beginning, a middle, and an end to trauma therapy. A great window into what the experience of Group Therapy in my LA office is like. Often groups bond deeply over shared victories as well as shared pain. You have the ability to transform your life! Sexual abuse therapist Dr. Arlene Drake doesn’t believe in endless therapy. Her clients eventually graduate from trauma therapy. Here, an adult abuse survivors discusses his journey in Dr. Drake’s group psychotherapy. Dr. Arlene Drake is a renowned psychotherapist living and working in Southern California. With over 30 years of experience, she is a pioneer in the field of adult survivors of childhood abuse and trauma recovery.